MSP’s Chris Jackson serves on the Heart of the Community Board which honored 11 unsung heroes in our community this past weekend for their service. The annual event also promotes heart health in support of February as Heart Month. Chris was the Chair of the Heart of the Community Heart Walk-Cycle-Paddle which is a healthy kick-off to the Heart of the Community where participants may walk, cycle or kayak through downtown Rome. 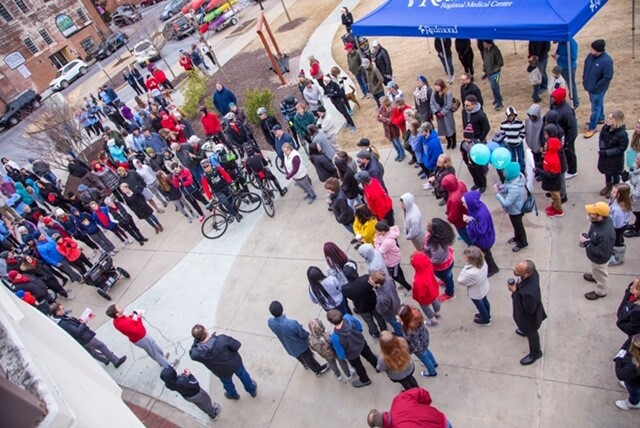 Despite the chilly temperatures on Saturday morning, a large crowd gathered for the Heart Walk-Cycle-Paddle which also serves as a fundraiser for the organization. The Heart of the Community Foundation awarded over $61,000.00 in grants to local non-profits this weekend so that they can continue to do great work in Rome and Floyd County.